Fluoride is a naturally-occurring ion that research has shown to effectively reduce cavities. It can also re-mineralize areas on your teeth that have early signs of tooth decay. Because of its beneficial effects, we recommend fluoride treatments for all patients every six months. Fluoride treatment can also be beneficial in reducing tooth sensitivity in certain situations. The excess material can then be removed by suctioning or spitting and the patient can then have a rinse. With the particular Fluoride Varnishes that we use, you may eat and drink right away! We just ask that you avoid hot foods or drinks (like coffee or soup) for 4-6 hours. We also recommend that patients use fluoride-infused toothpaste at home. For those who choose bottled water to drink, it should be noted that water from the majority of bottled waters on the market do not contain fluoride. At home filtration systems that use reverse osmosis also remove the fluoride from drinking water. It is especially important for patients that use those systems or frequently drink bottled water to have regular fluoride treatments at their dental office. 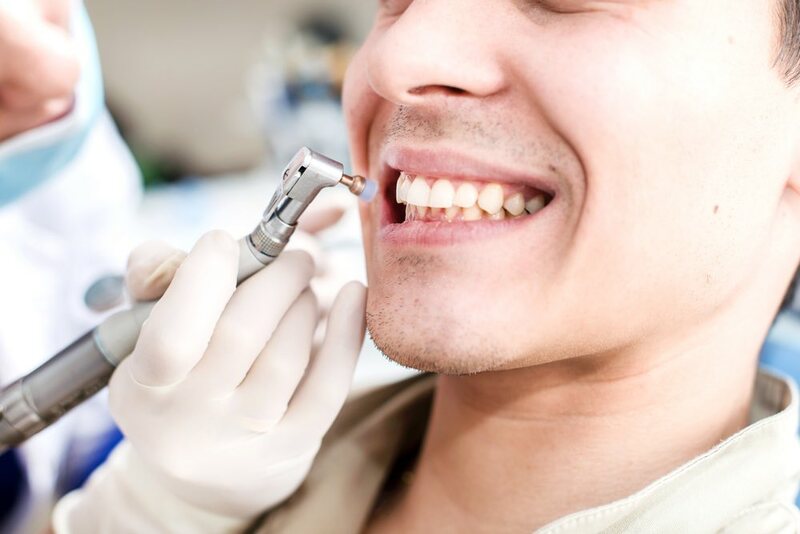 In office fluoride treatments are a quick and easy way to help fight against cavities.